"Your fingernails offer a window to your health!" 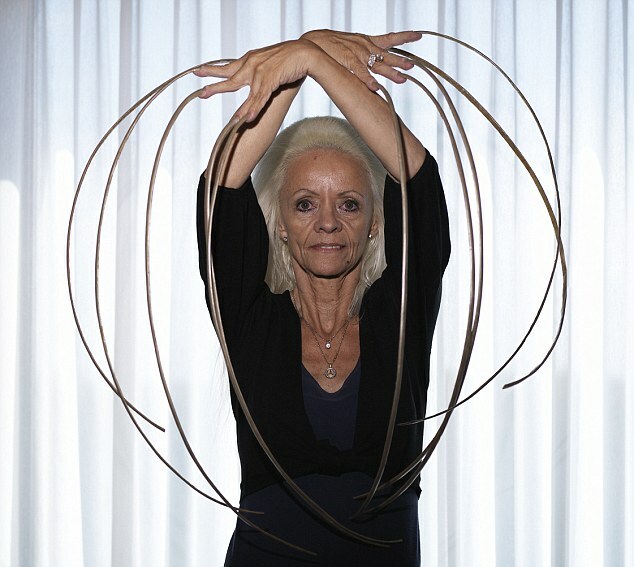 Melvin Booth has the ‘longest fingernails’ – OFFICIAL GUINNESS WORLD RECORD! The photo above was taken just a few months prior to Redmond’s accident which resulted in the loss of her fingernails, for the 2010 Edition of Guinness World Records. Lee Redmond’s nails are more famous, Melvin Booth has the world record! • The full story about Lee Redmond’s world record fingernails! • Fingernails grow faster on a proteine diet! • How to grow long, strong fingernails & avoid brittle nails! • Fingernail quality depends on humidity & climate! Earlier this year (februari) Lee Redmond became world news after a car crash which resulted in the loss of her Guinness World Record longest fingernails. This week Guinness World Records announced that due to the popularity of Lee Redmond’s Guinness World Record, her (former) ‘fingernail life-work’ will be honoured in the 2010 ‘The Book of the Decade’! But the best part of the Guinness report is that six months after the car accident mrs. Redmond is doing just fine! The 68-year-old Lee Redmond, of Salt Lake City, Utah, admitted that it had become much easier to get around since she was robbed of her record-breaking assets. FORUM: Let's talk about hands! Your hands & your health! !